People of all ages are diagnosed with brain cancer, but there is more frequency among children and older adults. Brain cancer is the most commonly diagnosed cancer in children. Of the nearly 80,000 brain tumors diagnosed in the U.S. each year, approximately 32% are considered malignant – or cancerous. An estimated 23,800 malignant tumors of the brain and spinal cord will be diagnosed in the U.S. in 2017, with over 16,700 deaths expected to result from the diagnosis. Overall, the chance that a person will develop a malignant tumor of the brain or spinal cord in his or her lifetime is less than 1% (about 1 in 140 for men and 1 in 180 for women). Survival rates vary widely depending on the type of tumor. 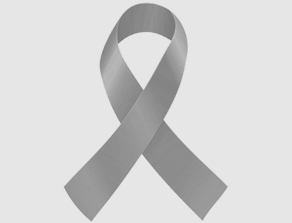 Glioblastoma multiforme (GBM) is the deadliest type of brain cancer, accounting for 45% of all malignant brain tumors. Dr. Rakesh Jain is a leader in the field of tumor biology – specifically in anti-angiogenic therapy, which looks at thwarting certain types of blood vessel formation. Dr. Jain has been studying the role angiogenesis plays in glioblastoma multiforme (GBM), the deadliest form of brain cancer. Dr. Jain’s research is helping doctors better tailor the use of anti-angiogenic therapies by identifying the characteristics that cause resistance for GBM patients. Dr. Jain and his team have identified molecular resistance pathways that may direct the development of new drugs that target these pathways and could extend the benefits of anti-angiogenic therapies for patients. Because GBM invades healthy tissues near the tumor, Dr. Jain’s current NFCR-funded research is focused on testing inhibitors that could prevent invasion. Vessel co-option is a process by which cancer cells migrate through and around nearby healthy tissue. Dr. Jain is identifying genes and pathways that facilitate vessel co-option in order to prevent invasion and improve GBM therapies. The Director of NFCR’s Scientific Advisory Board, Dr. Web Cavenee, has partnered with NFCR-funded scientist Dr. Paul B. Fisher to discover a new pharmacological agent that could – with additional chemistry – lead to a new drug to prevent radiation-induced invasion of GBM cells. The researchers have tested their pharmacological agent in combination with radiation and have seen profound survival benefits in pre-clinical models. NFCR-funded scientist Dr. W.K. Alfred Yung focuses his research on drugs that target a gene called PI3K, which is a key factor in about 30% of GBM cases. His team collected glioma stem cells (GSCs) from GBM patients and developed a special panel of cell lines to investigate patterns of resistance to P13K inhibitors. The researchers are figuring out the molecular profile of these GSCs to identify potential targets for drug development. Results from the P13K studies have shown that the molecular profile of GSCs contain increased levels of Wee-1, which is a protein that controls cell division and growth. Following these results, the team then combined a P13K inhibitor with a Wee-1 inhibitor and found there was a greater inhibition of cell growth and the cancer cells were induced into cell suicide. Plus, when they tested the same inhibitors on complex GBM tumor models, they discovered similar benefits. These findings reveal molecular targets and designs for combination therapies that could lead to new treatments for GBM patients.